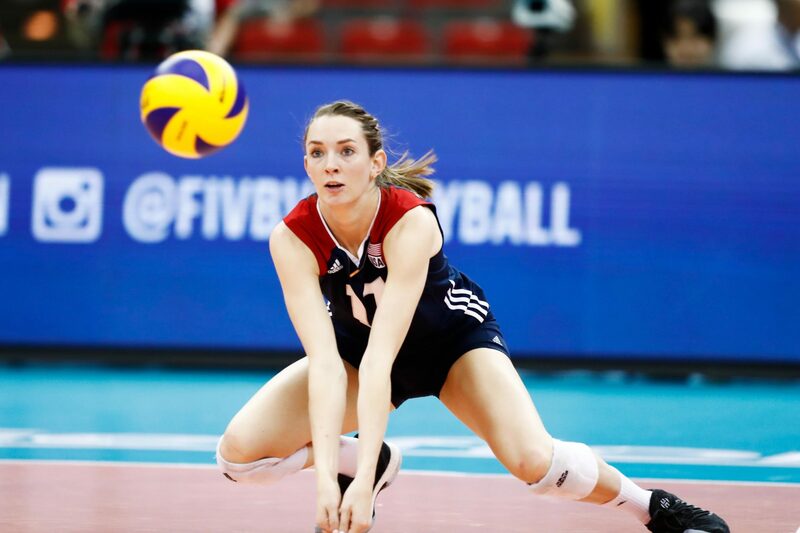 Italian club Volley Bergamo has just announced in its official website former Penn State and current Team USA star Megan Courtney as the newest addition to its roster. Transferring out of Turkish club Çanakkale, she will join another Team USA player in her new club, middle-blocker Hannah Tapp. Courtney, 6’1″ in height and 25-years of age, played primarily as an outside hitter in college. As a senior, she ranked 2nd on the team with 3.04 kills per set. But the versatile 6-rotation player was more than just a gifted hitter – she was also 2nd on the team with 3.03 digs/set, and finished her career as one of just 8 Nittany Lion with 1000 kills and 1000 digs. Her all-around skills proved to be worthwhile, as she later played many matches for Team USA as its primary libero. “It has always been a dream of mine to play in Italy. The league is full of great players and teams that make it, in my opinion, the best championship in the world. I know Bergamo from the words of friends and companions who lived or played in Italy: everyone told me nothing but fantastic things! The city is beautiful, the team always fight to the end for each goal and has an exceptional story! I’m really excited for this opportunity. Although it fielded a respectable roster, Bergamo finished its 2017/18 season with a 7-15 record, good enough for 10th place and just a spot out of the relegation zone. And, of course, 2013 and 14 NCAA D1 National Champion and Tournament MVP, 2014.